These charts are called “Static Charts” on rowsandall.com, to distinguish them from the “interactive” charts that are created elsewhere. The site creates an image file for you which is stored on the rowsandall.com server. You can download the file or use the link address to include the image into your training diary, blog, or share it on social media. 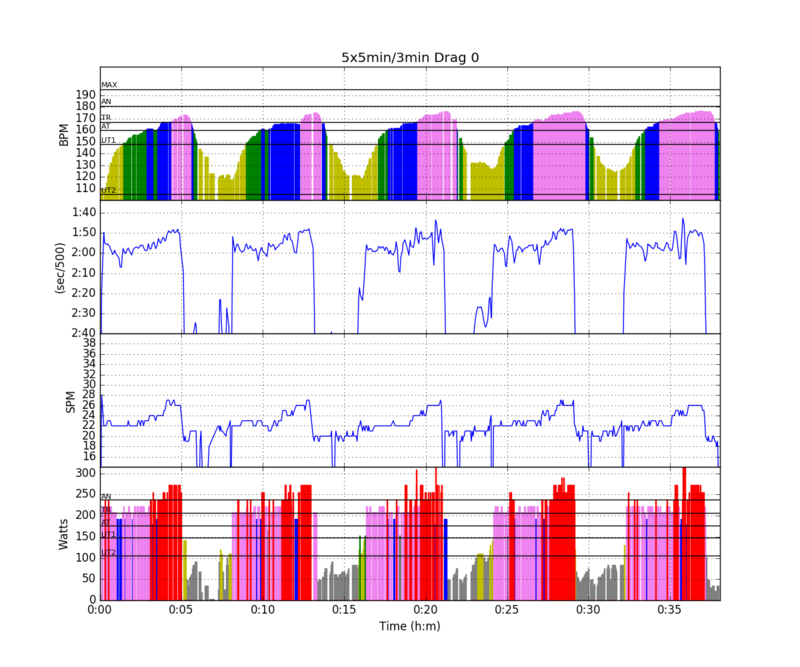 From top to bottom, this chart shows your heart rate, pace (sec/500m), stroke rate SPM, and power in Watts. The nice little colors are inspired by the charts that were generated from RowPro row files in an Excel spreadsheet developed by a guy named Dan Burpee. 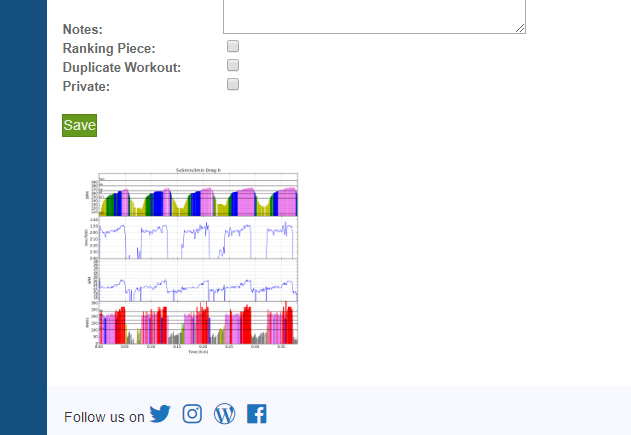 They show by color coding in which power or heart rate zone you were working out. These color codes are extremely useful as they help you seeing how hard you worked at a glance. This article will not go into depth explaining how to determine your heart rate zones. 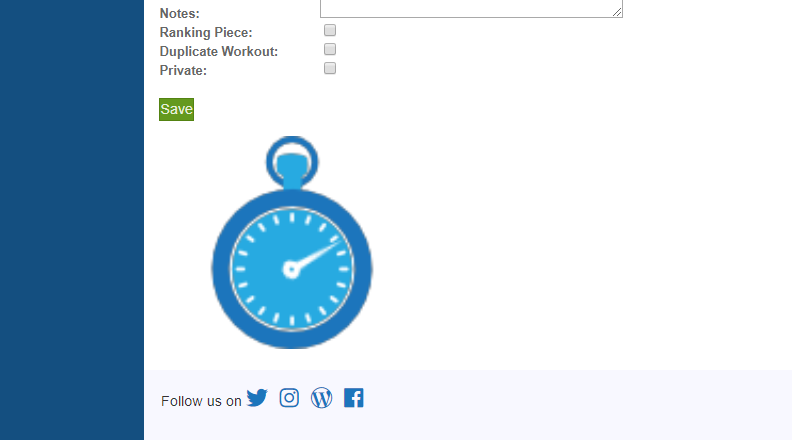 Here is a link to a summary of the zones we use on rowsandall.com, including a nice calculator to get an estimate based on your resting and maximum heart rate. For power zones, there are various systems in use, so rowsandall.com allows you to name the zones and define their lower boundary in Watt.